Obertauern, ski region of Carinthia in Austria, offers lovers of the snow, slopes and structures of all kinds: skiing, cross-country skiing, snowboarding, snowkiting, freestyle, skating, sledding. And in the evening, after a sauna in the hotel spa, await you local nightclubs and restaurants for the most classic of the Après-Ski. Obertauern is a ski resort in the Austrian Alps, about 90 km from Salzburg. The country lies between the mountains of Salzburg and guarantees snow from November to late May: this is a favorite destination for skiers in Austria. The district is spread over a vertical drop of 700 meters between 1600 and 2300 meters, and offers 100 miles of trails for downhill skiing and thirty for the fund. 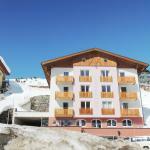 The lifts, one gondola, 19 chair lifts and 6 ski lifts, are all very modern. For cross-country skiing, the the most important tracks are Hundsfeld - 6 km, and Gnadenalm - 10 km, while in the area of the Kehrkopf plant is available one of the first schools of snowkiting. For snowboarders there is an area called Longplaypark, where fans can find rails, big kickers, VW Bully ... for all tastes and abilities. In Obertauern, a day does not end on the ski slopes, as in the afternoon there are many hotels with wellness area, swimming pool, sauna, showers, to enjoy moments of relaxation. 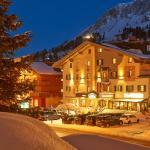 In the evening, in the main streets of Obertauern, restaurants, clubs and pubs offer a warm welcome... by gourmets. 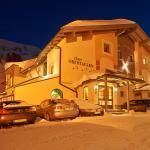 Obertauern hotels offer services and facilities for skiers. Hotel Gamsleiten is an elegant 4-star family-run hotel, recently renovated, located in the magnificent ski resort of Obertauern. The hotel features a spa where you can spend relaxing moments. 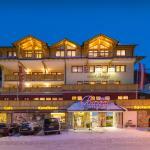 In the popular ski resort of Obertauern, near the ski trails and lifts, the Hotel Obertauern, luxurious 4 star hotel recently renewed, stands out for the elegance of its furnishings. 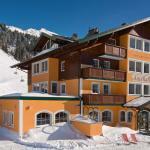 The Tauernhaus Wisenegg is the ideal resort both in the summer and during winter. 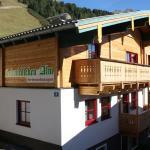 This welcoming 3-star hotel is situated in Obertauern, not far from the main ski lifts. 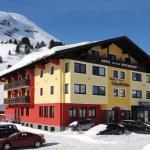 Hotel Laaxerhof, located a short distance from the heart of Obertaun, near the ski lifts, in a sunny position, offers stunning views of the surrounding mountains.